If you wish to sample a traditional Khmer massage to ease away the effects of enthusiastic temple exploring, So Spa is recognised as the best spa in Siem Reap. Worldwide ancient traditions meet the refinement and skill of the latest in French cosmetology provided by L’Occitane to create So Spa. Awaken your senses and feel re-energised with a selection of health and beauty treatments, and the sublime relaxation of herbal and floral body wraps and scrubs, mud wraps, rice-body-polishes, and Ayurvedic oil treatments. Discover all the ingredients to bring out your natural glow and ease away the stress and strains of daily life with our spa menu and our highly skilled spa therapists. Here you will feel re-energised with a new type of spa experience, and a wide range of poetic and indulgent treatments. 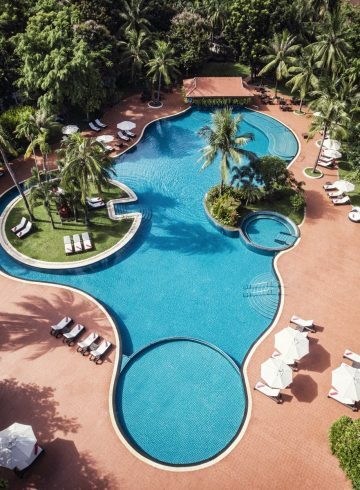 So Spa’s classic treatments range from the best massage in Siem Reap through to exotic spa journeys that draw upon ancient Khmer heritage combined with the latest in wellness therapies. Try an exhilarating treatment to awaken the senses, combining Deep Tissue massage and Lomi-Lomi techniques to invigorate the mind and body. A rejuvenating Facial Treatment will bring back the glow and suppleness to your skin. A hot steam or dry sauna can be completed by an auto application of detoxifying body scrub, ideal before a body wrap or a massage. The rituals of the Aromachologie Bath provide a relaxing and softening prelude that leaves the skin truly receptive to the benefits of treatments that follow. Make your choice between soothing essential oils, softening shea, invigorating verbena or relaxing lavender. 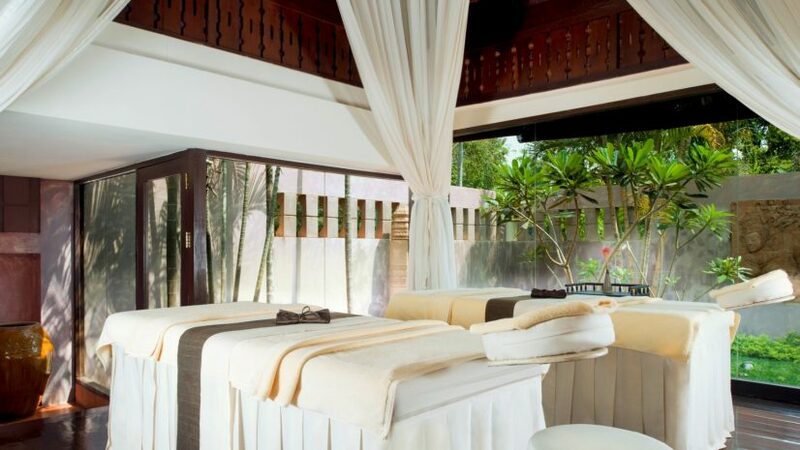 A massage in Siem Reap is just what you need after a long day exploring the beauties of Angkor. For this, our therapists draw upon their Khmer heritage that dates back many centuries. As a tension reliever, a back, neck and shoulder massage undertaken with relaxing lemongrass oil will relieve all stress and tension. A head massage is a healing, rejuvenating and thoroughly stimulating experience acting on vital energy points on the face, head, upper back, shoulders and neck. A special at So Spa is the Asian Blend Massage, an unusual and delightful treatment that uses the best Asian massage techniques. Using oil, our therapists will be combining smooth flowing strokes and kneading to help you relax and bring relief to your tired muscles. Modern French techniques and natural products are also a feature at So Spa. The Angelica Fountain of Glow is one special treatment. To deliver ideal moisturisation, this refreshing facial incorporates two organic Angelica extracts – water and essential oils. Angelica’s patented complex helps the skin regain its natural vitality and suppleness. Featuring our signature drainage face massage sequence, it leaves the skin smoother, reinvigorating and more radiant… glowing with beauty! From the L’Occitane plantations in Corsica comes a treatment rich in organic immortelle essential oil to stimulate cell renewal and collagen synthesis, applied with a lifting and firming massage combined with acupressure points to improve micro circulation and relieve muscular tension. There is so much on our spa menu, and you will be certain to find what you need to put you back on top of the world. There is nothing that compares with a fragrant body wrap. Shea Ultra Softening Body Wrap provides repairing care for dry, sun-damaged or overworked skin. While the entire body in the wrap soaks up active ingredients that nourish, including shea butter and grape seed oil, and honey extracts that moisturise and soften, a foot and scalp massage ensures a moment of pure relaxation. Our Detox Body Wrap is a body treatment that uses local herbs to target the weakest points of your body and purify your mind. This wrap encourages the release of toxins, eliminates the occurrence of cellulite and improves the circulation. It also provides essential vitamins and minerals to your body’s largest and most visible organ: your skin.